A senior Iranian Navy official has disclosed that a flotilla of Iranian warships will make a voyage to the Atlantic Ocean this year. Admiral Touraj Hasnai Moqaddam said in an interview with the Islamic Republic News Agency (IRNA) on Friday that the mission will last some five months. The admiral, who serves as the deputy commander of Iran's navy, is quoted in Iranian media as saying the journey will start at the beginning of the next Iranian calendar year, 1398, which starts March 21. 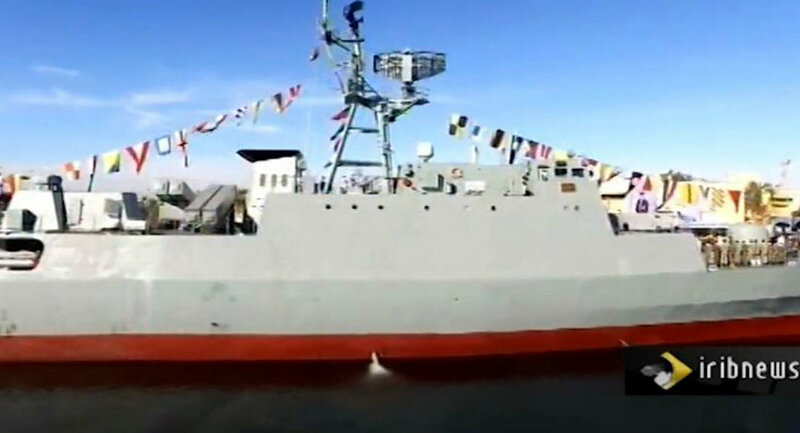 The deputy commander noted the domestically produced Sahand destroyer will be a part of the small squadron making the journey. Sahand is described in the IRNA report as "the most advanced destroyer in West Asia." The official did not state a particular rationale for the decision to assert Iran's naval presence in the Atlantic. According to Reuters, Iran has said the Sahand has adequate deck surface area to land helicopters, noting that the ship's armaments include anti-aircraft and anti-ship guns; surface-to-surface and surface-to-air missiles; and electronic attack capabilities. In 2017, an Iranian official argued Tehran had proved CNN wrong by sending ships further into international waters. "[In a program aired] on CNN… they [the Americans] said Iran by no means is capable of entering the ocean and passing through it, but we arrived in the Atlantic, and we will go to the west of the ocean in the near future," Tasnim news agency quoted Rear Admiral Habibollah Sayyari as saying. In late 2016, the 44th Flotilla of the Iranian Naval Forces crossed into Atlantic waters after making a visit to a port on the South African coast, Sputnik News reported. Is Washington Hiding the Truth Behind US Navy Incident in Iran?